surprisingly unimportant. | wull hay. May 27, 2010 May 27, 2010 / rach. He is amazing. He is infamously secretive. [many still don’t know his identity.] He is brave. He is controversial. He is shocking. He is inspiring. I haven’t stopped thinking about the film. 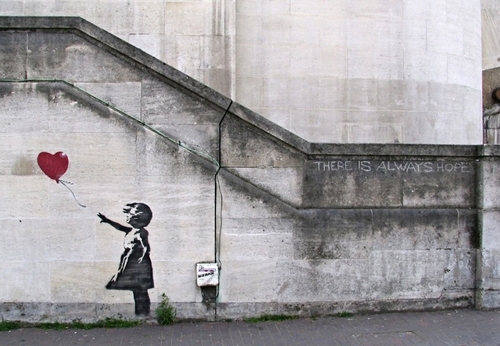 Thinking about Banksy. I had a dream that I just called him to talk… and ask heaps of questions. Weird. Anyway, it’s just one of those films you didn’t expect to affect you… and it did. It makes me want to make certain things in my life surprisingly unimportant. And other surprising things: important.